I come from a ‘hosting’ family. My mum is known for throwing a party, not just by our family but all our friends and my mother’s poor neighbours (who she ALWAYS notifies in advance). This love of hosting has been passed down to me, and I am often the host of activities with our friends. Here are my top tips! When I was planning my wedding I found certain tools invaluable, but for a more casual party, I think the Party planning app by Fancy Dress Ball is great. You can log in to it using your Facebook account, pick a theme (great for NYE) and invite your friends via Facebook! If you are having a fancy dress party then they have a really good selection of Christmas Outfits for all the family. You might be friendly with your neighbours, you might not be, either way it is just common courtesy to let them know that you are planning a party and it might be a bit noisy. Doing this before the party starts is very important, as you don’t want them to call the police at the stroke of 11pm (this is when the Police can accept noise complaints). … but try not to be too loud! It is always a good idea to have a few nibbles at your party. You can buy crisps and dips, olives, vol au vents – whatever takes your fancy! My auntie Kerry is famed for her Parmesan Biscuits which are easy to make and suitable for ANY occasion. She usually makes the pastry from scratch, but should you want to cheat, like me, you can always buy pre maid shortcrust pastry, roll it quite thin, take a festive shaped cookie cutter and make shapes, paint each shape with a beaten egg, grate Parmesan over the biscuits and put in a pre heat oven (about 180 degrees) and leave for 8-10 minutes. You can add onion or jalapeno to liven them up too! This time of year is filled with great drinks – you could serve Pomegranate juice and Champagne (or cava) on arrival, followed by the usual wine and beer, or even try to make a batch of Mulled Wine or Cider, or alternatively most supermarkets now stock premade bottles of Mulled Wine. If you are feeling particularly festive you could always serve Christmas cocktails. 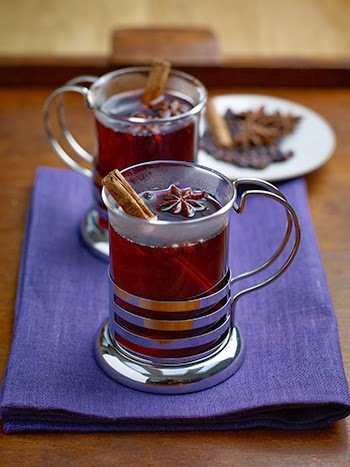 Don’t forget that some of your guest may be driving, or not want to drink, so why not try this non alcoholic Mulled Wine recipe using Rocks Spiced Fruit Punch. This time of year is a great time to put on the classic Christmas hits, I’d advise playing these early in the evening, as people are arriving and have a more varied playlist for later in the night when people might want to dance. I’d also recommend Spotify (£9.99 a month of you can get free trials) this will allow you to create a playlist of Christmas songs, but then later in the evening people can browse and add other music to the playlist! Are you having a party this Christmas or New Year? 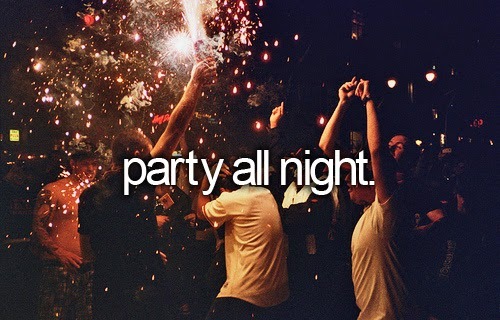 Let me know your party planning tips! Previous Post LIFESTYLE | Christmas Gift Ideas!